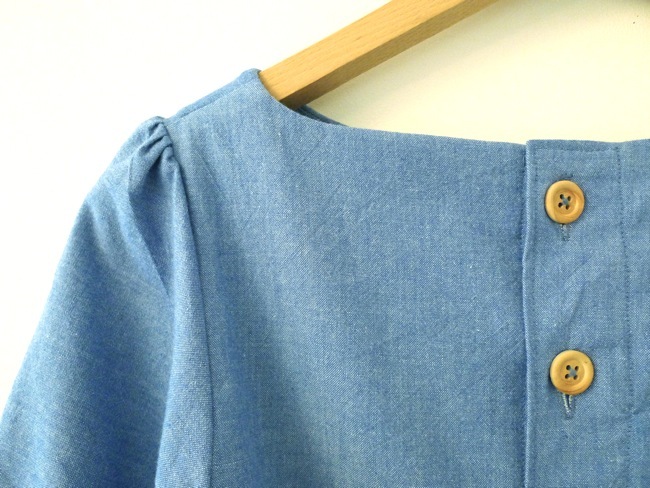 You know the button-back blouse that I keep making? 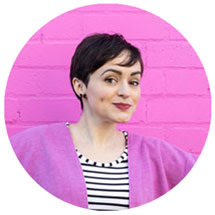 Well, I've finally given it a name! 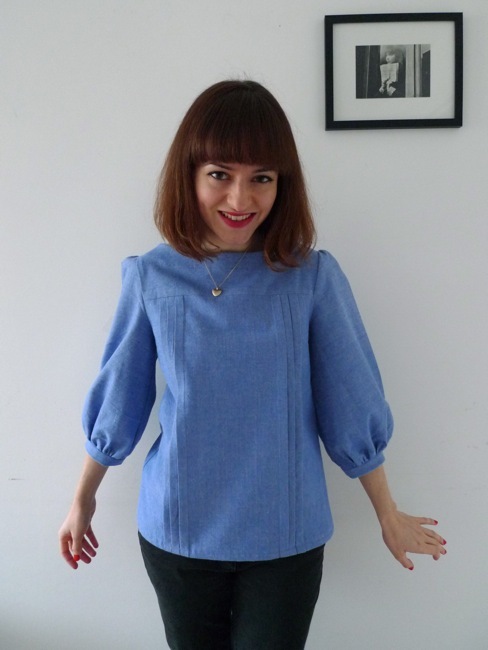 It's now called the Mathilde Blouse. (Long story. Short version here.) 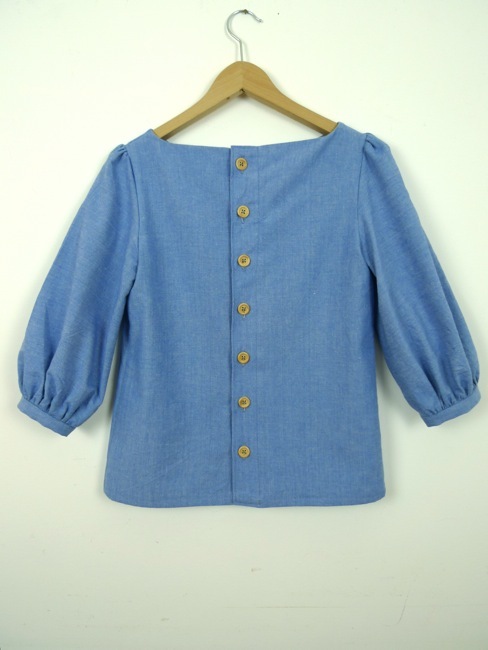 This is my latest iteration - this time in Chambray. 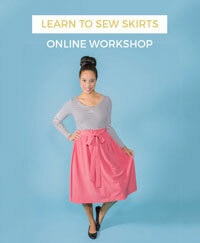 I'm so glad the pattern works in a casual cotton as well as elegant silk... or cheapo poly, in my case (ssshh!). 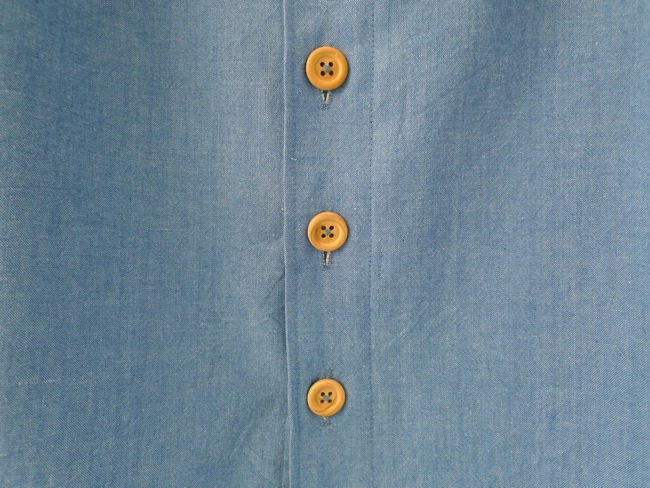 Mmm... lovely wooden buttons to go with the Chambray. 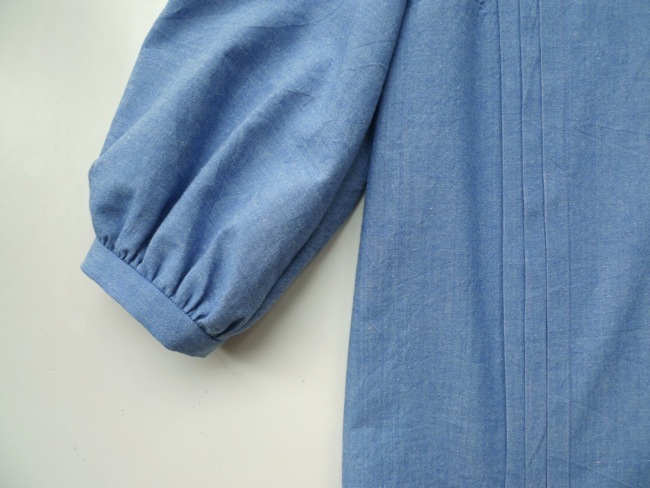 I love look of the linear tucks juxtaposed with the gentle puff of the sleeves (does that sound really pretentious?!). 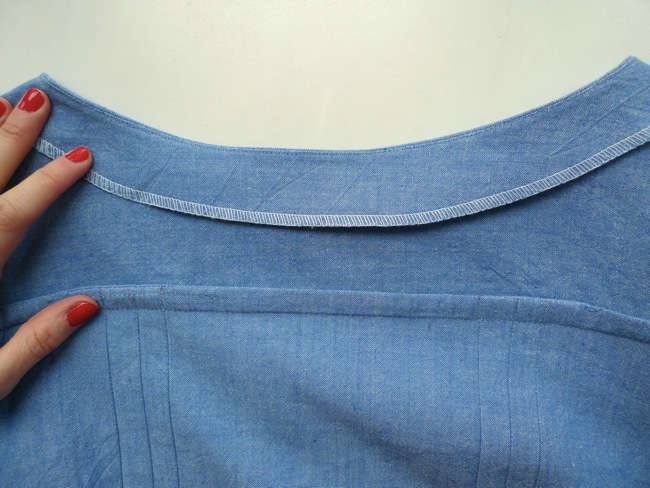 Plus I sewed French seams on all but the armholes, so the blouse looks as pretty on the inside as it does on the outside. 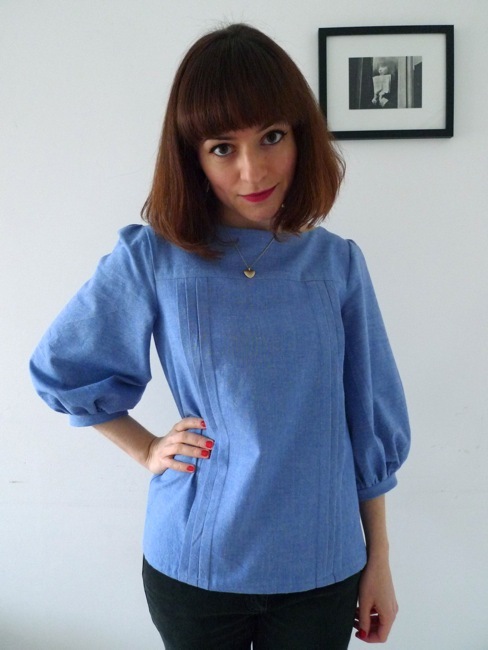 Oh my goodness, I love this blouse so much! I just can't stop making it!